There are a few people in life that you vow your dedication to for life. The child who begins his life completely enraptured by your presence and looks trustingly into your eyes is counted in this list. The spouse you stood holding hands with in front of countless witnesses, promising your dedication until death do you part, is most definitely on the list. For the parent who has a disabled child that will require a lifelong commitment of love, protection, and parenting throughout their entire life, the word dedication seems almost like an understatement, but they fill numerous positions on the list. Every now and then someone comes along and makes an impact on your life that causes you to realize they have somehow captured a small place in your heart that requires more than just a relationship for a season. That someone may be a person that brings joy and laughter, pain and sorrow, or stress and frustration. Although I am dedicated to my own children and wife for life, there are a couple other people I have pledged my lifetime commitment. Stress and frustration is where one of my lifelong dedications evolved. A student, I will refer to as LC, came through my fifth grade class several years ago and made an impression on me that continues to reside in my heart today. LC was a student I had been warned about because he would often cause disruptions and problems in the lower grades. I have purposefully turned a deaf ear to comments made by other teachers about up and coming students because I want to give every child a fair chance. All too often, the frustrations others feel might just be a personality conflict. My version of “silent lunch” is probably unlike most others. It normally doesn’t consist of isolation and abandonment. Not at all! These poor students were forced to sit with me and have a nice quiet lunch (in the midst of 300+ other students) and either listen to my exhaustively boring stories or answer an entire battery of questions. What I learned during our “Silent Lunch Club” daily meetings was this, LC needed to know that someone cared! I cared, but his uncanny ability to insert himself into the middle of every conversation in the room kept him in the midst of controversy and securely in the position of president. As the holidays rolled around, I would issue a reprieve or time off for good behavior, only to have LC return before lunchtime was over. Of the 180 days of school, LC spent about 175 of those days on “silent lunch.” I developed a good understanding of this student, his life, his goals, ambitions, dreams, fears, failures, and overall lack of drive to be successful. However, I knew that I had opened a door of opportunity to be a mentor and a difference maker in his life. He had penetrated my heart with his stories and I committed to track him through life to help be his cheerleader, and life-coach. Fast forward several years and our paths cross yet again. Granted, I had spoken to him several times at sporting events at the school over the years, but now our paths would cross daily due to my transfer to a higher grade in the middle school. His borderline dismal but comedic view of life still fascinates me. I realized that I see myself in him during certain times of my life. The life dedication moment unexpectedly arrived. I received a letter LC had typed for his business class that was to be addressed to someone who had impacted his life. LC had chosen me. 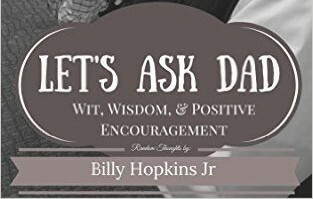 He wrote about his time spent in my class during elementary school and his struggle with ADD (Attention Deficit Disorder), getting and staying in trouble, and his feelings of being annoying to most of his friends while being annoyed with the entire concept of coming to school every day.